Grey 2018 Mercedes-Benz C-Class C 300 4MATIC®® 4MATIC®® 9-Speed Automatic 2.0L I4 Turbocharged 4MATIC®®. 23/32 City/Highway MPG www.Mercedesofflagstaff.com ...Excellent selection of New and Certified Pre-owned, Great selection of All Makes and Models of handpicked Pre-owned Vehicles. ALL PRICED BELOW MARKET! Low Financing and Lease options! Serving All of Flagstaff, Sedona, Cottonwood, Williams, Kingman, Bullhead City, Winslow, Bellemont, Prescott, Prescott Valley, Pine Valley, Chino Valley, Dewey-Humboldt, Grand Canyon, Cornville, Jerome, Pinetop, Tuba City, Navajo Reservation, Lakeside, Anthem, Holbrook, Snowflake-Taylor, Munds Park, Surprise, Sun City, Chandler, Phoenix, Scottsdale, Mesa, Tempe and Gilbert....Grey 2018 Mercedes-Benz C-Class C 300 4MATIC®® 4MATIC®® 9-Speed Automatic 2.0L I4 Turbocharged 4MATIC®®. Black 2018 Mercedes-Benz C-Class C 300 4MATIC®® 4MATIC®® 9-Speed Automatic 2.0L I4 Turbocharged 4MATIC®®. 23/32 City/Highway MPG www.Mercedesofflagstaff.com ...Excellent selection of New and Certified Pre-owned, Great selection of All Makes and Models of handpicked Pre-owned Vehicles. ALL PRICED BELOW MARKET! Low Financing and Lease options! Serving All of Flagstaff, Sedona, Cottonwood, Williams, Kingman, Bullhead City, Winslow, Bellemont, Prescott, Prescott Valley, Pine Valley, Chino Valley, Dewey-Humboldt, Grand Canyon, Cornville, Jerome, Pinetop, Tuba City, Navajo Reservation, Lakeside, Anthem, Holbrook, Snowflake-Taylor, Munds Park, Surprise, Sun City, Chandler, Phoenix, Scottsdale, Mesa, Tempe and Gilbert....Black 2018 Mercedes-Benz C-Class C 300 4MATIC®® 4MATIC®® 9-Speed Automatic 2.0L I4 Turbocharged 4MATIC®®. Emerald Green 2019 Mercedes-Benz C-Class C 300 4MATIC®® 4MATIC®® 9-Speed Automatic 2.0L I4 Turbocharged 4MATIC®®. 22/33 City/Highway MPG www.Mercedesofflagstaff.com ...Excellent selection of New and Certified Pre-owned, Great selection of All Makes and Models of handpicked Pre-owned Vehicles. ALL PRICED BELOW MARKET! Low Financing and Lease options! Serving All of Flagstaff, Sedona, Cottonwood, Williams, Kingman, Bullhead City, Winslow, Bellemont, Prescott, Prescott Valley, Pine Valley, Chino Valley, Dewey-Humboldt, Grand Canyon, Cornville, Jerome, Pinetop, Tuba City, Navajo Reservation, Lakeside, Anthem, Holbrook, Snowflake-Taylor, Munds Park, Surprise, Sun City, Chandler, Phoenix, Scottsdale, Mesa, Tempe and Gilbert....Emerald Green 2019 Mercedes-Benz C-Class C 300 4MATIC®® 4MATIC®® 9-Speed Automatic 2.0L I4 Turbocharged 4MATIC®®. Lunar 2018 Mercedes-Benz C-Class C 300 4MATIC®® 4MATIC®® 9-Speed Automatic 2.0L I4 Turbocharged 4MATIC®®. 23/32 City/Highway MPG www.Mercedesofflagstaff.com ...Excellent selection of New and Certified Pre-owned, Great selection of All Makes and Models of handpicked Pre-owned Vehicles. ALL PRICED BELOW MARKET! Low Financing and Lease options! Serving All of Flagstaff, Sedona, Cottonwood, Williams, Kingman, Bullhead City, Winslow, Bellemont, Prescott, Prescott Valley, Pine Valley, Chino Valley, Dewey-Humboldt, Grand Canyon, Cornville, Jerome, Pinetop, Tuba City, Navajo Reservation, Lakeside, Anthem, Holbrook, Snowflake-Taylor, Munds Park, Surprise, Sun City, Chandler, Phoenix, Scottsdale, Mesa, Tempe and Gilbert....Lunar 2018 Mercedes-Benz C-Class C 300 4MATIC®® 4MATIC®® 9-Speed Automatic 2.0L I4 Turbocharged 4MATIC®®. Polar White 2019 Mercedes-Benz C-Class C 300 4MATIC®® 4MATIC®® 9-Speed Automatic 2.0L I4 Turbocharged 4MATIC®®. 22/33 City/Highway MPG www.Mercedesofflagstaff.com ...Excellent selection of New and Certified Pre-owned, Great selection of All Makes and Models of handpicked Pre-owned Vehicles. ALL PRICED BELOW MARKET! Low Financing and Lease options! Serving All of Flagstaff, Sedona, Cottonwood, Williams, Kingman, Bullhead City, Winslow, Bellemont, Prescott, Prescott Valley, Pine Valley, Chino Valley, Dewey-Humboldt, Grand Canyon, Cornville, Jerome, Pinetop, Tuba City, Navajo Reservation, Lakeside, Anthem, Holbrook, Snowflake-Taylor, Munds Park, Surprise, Sun City, Chandler, Phoenix, Scottsdale, Mesa, Tempe and Gilbert....Polar White 2019 Mercedes-Benz C-Class C 300 4MATIC®® 4MATIC®® 9-Speed Automatic 2.0L I4 Turbocharged 4MATIC®®. Black 2018 Mercedes-Benz E-Class E 300 4MATIC®® 4MATIC®® 9-Speed Automatic I4 4MATIC®®. 21/29 City/Highway MPG www.Mercedesofflagstaff.com ...Excellent selection of New and Certified Pre-owned, Great selection of All Makes and Models of handpicked Pre-owned Vehicles. ALL PRICED BELOW MARKET! Low Financing and Lease options! Serving All of Flagstaff, Sedona, Cottonwood, Williams, Kingman, Bullhead City, Winslow, Bellemont, Prescott, Prescott Valley, Pine Valley, Chino Valley, Dewey-Humboldt, Grand Canyon, Cornville, Jerome, Pinetop, Tuba City, Navajo Reservation, Lakeside, Anthem, Holbrook, Snowflake-Taylor, Munds Park, Surprise, Sun City, Chandler, Phoenix, Scottsdale, Mesa, Tempe and Gilbert....Black 2018 Mercedes-Benz E-Class E 300 4MATIC®® 4MATIC®® 9-Speed Automatic I4 4MATIC®®. Blue 2018 Mercedes-Benz E-Class E 300 4MATIC®® 4MATIC®® 9-Speed Automatic I4 4MATIC®®. 21/29 City/Highway MPG www.Mercedesofflagstaff.com ...Excellent selection of New and Certified Pre-owned, Great selection of All Makes and Models of handpicked Pre-owned Vehicles. ALL PRICED BELOW MARKET! Low Financing and Lease options! Serving All of Flagstaff, Sedona, Cottonwood, Williams, Kingman, Bullhead City, Winslow, Bellemont, Prescott, Prescott Valley, Pine Valley, Chino Valley, Dewey-Humboldt, Grand Canyon, Cornville, Jerome, Pinetop, Tuba City, Navajo Reservation, Lakeside, Anthem, Holbrook, Snowflake-Taylor, Munds Park, Surprise, Sun City, Chandler, Phoenix, Scottsdale, Mesa, Tempe and Gilbert....Blue 2018 Mercedes-Benz E-Class E 300 4MATIC®® 4MATIC®® 9-Speed Automatic I4 4MATIC®®. White 2019 Mercedes-Benz E-Class E 300 4MATIC®® 4MATIC®® 9-Speed Automatic I4 4MATIC®®. 21/29 City/Highway MPG www.Mercedesofflagstaff.com ...Excellent selection of New and Certified Pre-owned, Great selection of All Makes and Models of handpicked Pre-owned Vehicles. ALL PRICED BELOW MARKET! Low Financing and Lease options! Serving All of Flagstaff, Sedona, Cottonwood, Williams, Kingman, Bullhead City, Winslow, Bellemont, Prescott, Prescott Valley, Pine Valley, Chino Valley, Dewey-Humboldt, Grand Canyon, Cornville, Jerome, Pinetop, Tuba City, Navajo Reservation, Lakeside, Anthem, Holbrook, Snowflake-Taylor, Munds Park, Surprise, Sun City, Chandler, Phoenix, Scottsdale, Mesa, Tempe and Gilbert....White 2019 Mercedes-Benz E-Class E 300 4MATIC®® 4MATIC®® 9-Speed Automatic I4 4MATIC®®. Silver 2018 Mercedes-Benz S-Class S 450 RWD 9-Speed Automatic 3.0L V6 BiTurbo Cloth. 19/28 City/Highway MPG www.Mercedesofflagstaff.com ...Excellent selection of New and Certified Pre-owned, Great selection of All Makes and Models of handpicked Pre-owned Vehicles. ALL PRICED BELOW MARKET! Low Financing and Lease options! Serving All of Flagstaff, Sedona, Cottonwood, Williams, Kingman, Bullhead City, Winslow, Bellemont, Prescott, Prescott Valley, Pine Valley, Chino Valley, Dewey-Humboldt, Grand Canyon, Cornville, Jerome, Pinetop, Tuba City, Navajo Reservation, Lakeside, Anthem, Holbrook, Snowflake-Taylor, Munds Park, Surprise, Sun City, Chandler, Phoenix, Scottsdale, Mesa, Tempe and Gilbert....Silver 2018 Mercedes-Benz S-Class S 450 RWD 9-Speed Automatic 3.0L V6 BiTurbo Cloth. Diamond White 2019 Mercedes-Benz S-Class S 450 RWD 9-Speed Automatic 3.0L V6 BiTurbo Cloth. Recent Arrival! 19/28 City/Highway MPG www.Mercedesofflagstaff.com ...Excellent selection of New and Certified Pre-owned, Great selection of All Makes and Models of handpicked Pre-owned Vehicles. ALL PRICED BELOW MARKET! Low Financing and Lease options! Serving All of Flagstaff, Sedona, Cottonwood, Williams, Kingman, Bullhead City, Winslow, Bellemont, Prescott, Prescott Valley, Pine Valley, Chino Valley, Dewey-Humboldt, Grand Canyon, Cornville, Jerome, Pinetop, Tuba City, Navajo Reservation, Lakeside, Anthem, Holbrook, Snowflake-Taylor, Munds Park, Surprise, Sun City, Chandler, Phoenix, Scottsdale, Mesa, Tempe and Gilbert....Diamond White 2019 Mercedes-Benz S-Class S 450 RWD 9-Speed Automatic 3.0L V6 BiTurbo Cloth. Black 2019 Mercedes-Benz S-Class S 560 RWD 9-Speed Automatic 4.0L V8 Cloth. 17/27 City/Highway MPG www.Mercedesofflagstaff.com ...Excellent selection of New and Certified Pre-owned, Great selection of All Makes and Models of handpicked Pre-owned Vehicles. ALL PRICED BELOW MARKET! Low Financing and Lease options! Serving All of Flagstaff, Sedona, Cottonwood, Williams, Kingman, Bullhead City, Winslow, Bellemont, Prescott, Prescott Valley, Pine Valley, Chino Valley, Dewey-Humboldt, Grand Canyon, Cornville, Jerome, Pinetop, Tuba City, Navajo Reservation, Lakeside, Anthem, Holbrook, Snowflake-Taylor, Munds Park, Surprise, Sun City, Chandler, Phoenix, Scottsdale, Mesa, Tempe and Gilbert....Black 2019 Mercedes-Benz S-Class S 560 RWD 9-Speed Automatic 4.0L V8 Cloth. Diamond White 2019 Mercedes-Benz S-Class S 560 4MATIC®® 4MATIC®® 9-Speed Automatic 4.0L V8 4MATIC®®, Cloth. Recent Arrival! 17/27 City/Highway MPG www.Mercedesofflagstaff.com ...Excellent selection of New and Certified Pre-owned, Great selection of All Makes and Models of handpicked Pre-owned Vehicles. ALL PRICED BELOW MARKET! Low Financing and Lease options! 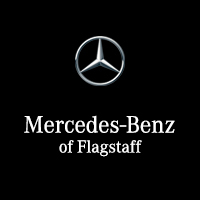 Serving All of Flagstaff, Sedona, Cottonwood, Williams, Kingman, Bullhead City, Winslow, Bellemont, Prescott, Prescott Valley, Pine Valley, Chino Valley, Dewey-Humboldt, Grand Canyon, Cornville, Jerome, Pinetop, Tuba City, Navajo Reservation, Lakeside, Anthem, Holbrook, Snowflake-Taylor, Munds Park, Surprise, Sun City, Chandler, Phoenix, Scottsdale, Mesa, Tempe and Gilbert....Diamond White 2019 Mercedes-Benz S-Class S 560 4MATIC®® 4MATIC®® 9-Speed Automatic 4.0L V8 4MATIC®®, Cloth.